While built by Evangelicals, there is much at the Museum to appeal to a Catholic Christian sensibility, but there are several things that could annoy the educated Catholic. 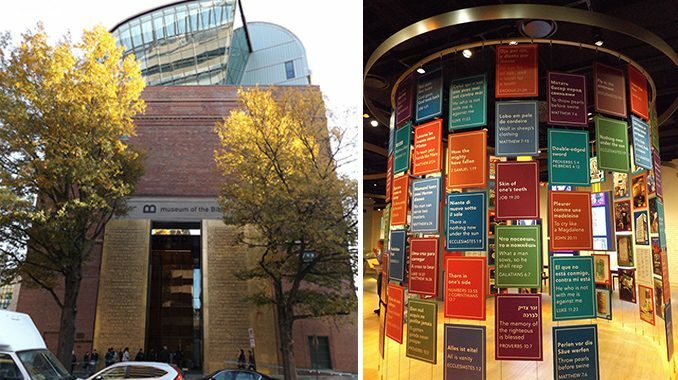 On November 17, to much fanfare and both praise and criticism, the Museum of the Bible (MOTB) opened a short walk away from the Smithsonian museums and Capitol Hill in Washington, D.C. Housed inside a converted 1923 warehouse, the 420,000 square foot building features six floors of exhibits whose purpose, say officials, isn’t to overtly evangelize. 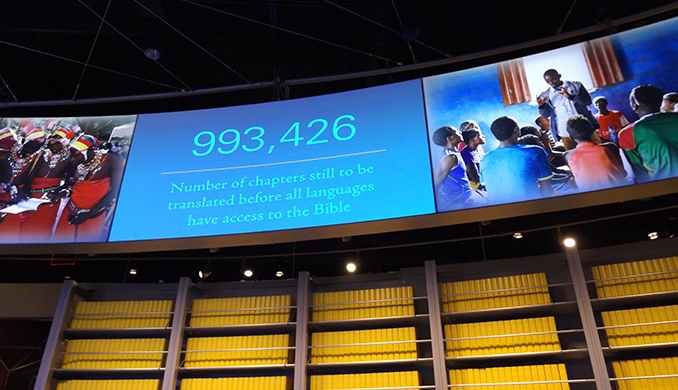 Rather, says Cary Summers, president of Museum of the Bible, the goal is “to invite all people to engage with the history, narrative, and impact of the Bible.” Officials say they hope this will prompt people to open up God’s word. Whether or not this will happen, only the Holy Spirit knows. What is certain, however, is that the Museum’s planners and patrons—starting with Hobby Lobby President Steve Green—have gone to extraordinary measures to ensure that their purpose is fulfilled. Even before entering the premises, visitors are confronted with a hint of what awaits them inside. 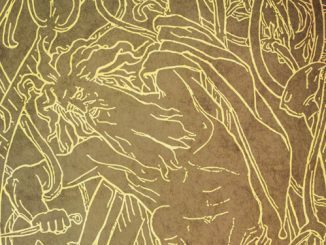 This hint takes the form of two towering bronze faux doors representing pages from the Guttenberg Bible, which started the publishing revolution over 500 years ago. For anyone willing to pay attention while touring the exhibits, however, signs indicate whether something is a facsimile of an artifact or if there is a question as to its provenance. Moreover, MOTB spokesman Scott Knuteson told Catholic World Report, “To assist the public in understanding the challenges in the Museum’s collection, items with significant gaps in their provenance have been noted in the display cases or wall panels of the museum, with further information provided on the [museum’s] webpage.” As additional information becomes available, MOTB will add information to its site. The only time any of this really comes to mind is in the exhibit where one can see what are reputed to be fragments of the Dead Sea Scrolls. However, so much—including nearly everything in the Vatican exhibit—is marked as “Facsimile,” what is an authentic relic and what is not gets lost in the process. Visitors begin by passing through a state-of-the-art security checkpoint that is as colorful as it is assuring. Once past security, guests pick up their tickets in the entrance hall. 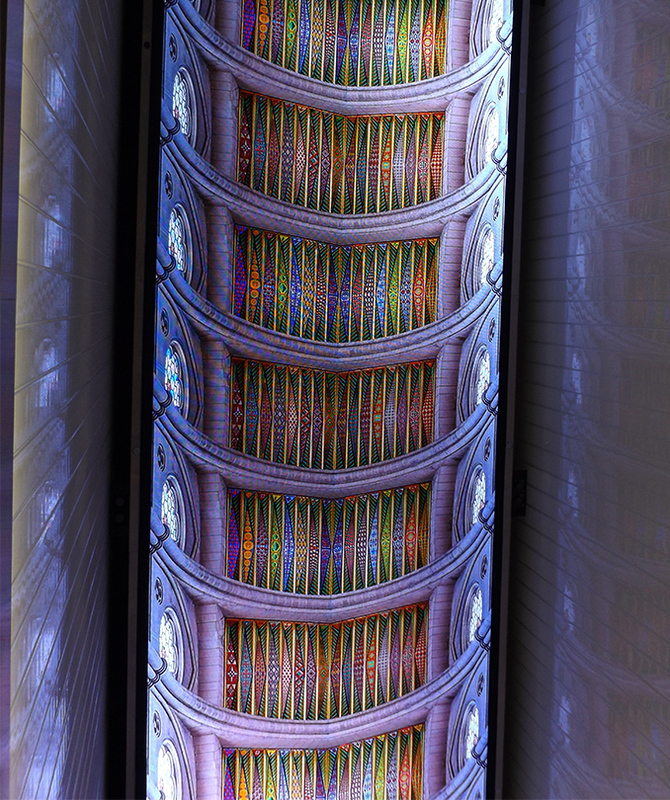 While they wait, a series of breathtaking images pass overhead via digital screens on the ceiling. Then it is on to the various exhibits, most of which are included in the $15-per-person ticket ($10 for children under 12). 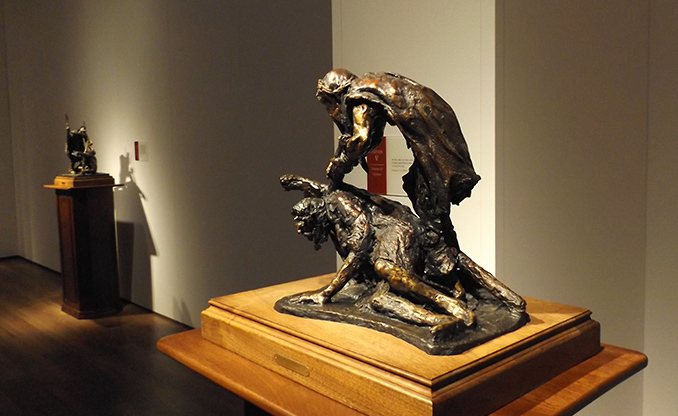 For instance in the lower galleries, one can walk the Stations of the Cross sculpted by artist Gib Singleton. If his name doesn’t ring a bell, his pastoral staff used by every pope from Paul VI through Benedict XVI would be instantly recognizable. Right next door is an exhibit dedicated to the hymn “Amazing Grace.” It tells the story of its author, former slave trader turned Anglican priest Fr. John Newton. Additionally, it features original record sleeves of albums by artists who covered the song, including Elvis Presley, Janice Joplin, and Bob Dylan. The basement also features one of two exhibits that incur an additional cost, “In the Valley of David and Goliath,” featuring artifacts from what is reputed to be the site of the battle between the giant and the future king of Judah. While the array of artifacts impresses, if one wanted to economize on their visit, it might prove worthwhile to forego this exhibit. If the visitor already knows the story behind the exhibit, it certainly adds nothing to it. Parents and youngsters will enjoy the children’s zone where kids can interact with biblical episodes that many will likely remember for years to come. On the second floor is an exhibit called “Bible Now.” Set inside a round room, its walls feature a 360˚ image of modern day Jerusalem, with every significant landmark identified, including some surprising ones. 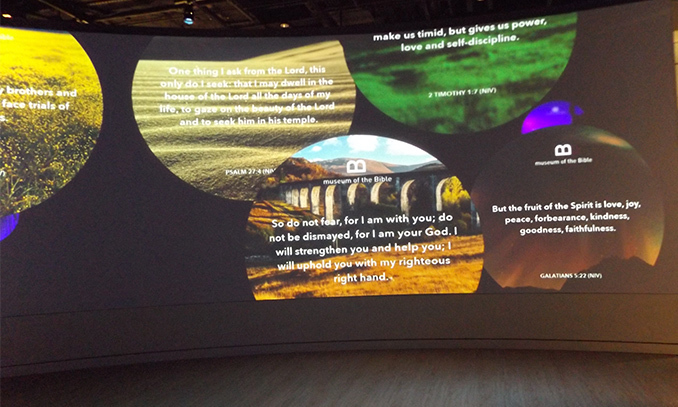 It also features video screens that flash factoids, such as “3rd Most Searched Keyword in the World: Offer.” In the room’s center is a booth where visitors can record a brief statement on what the Bible has meant to them. One exhibit that incurs an additional cost and is worth every penny is the grin-inducing “Washington Revelations.” It affords visitors the sensation of actually flying like birds over the sites in the nation’s capital that feature words or scenes from Scripture. Other displays demonstrate the far reaching impact of the Bible, including in fashion, advertising, entertainment, journalism, and every other aspect of culture. An entire exhibit is dedicated to showing how Scripture has influenced our nation from its beginning, while another shows the impact and history of the Bible in the world at large. On the fourth floor are exhibits that allow one to walk through the Old and New Testaments, including a replica of Nazareth as it would have appeared in Jesus’ time. While built by Evangelicals, there is much at MOTB to appeal to a Catholic Christian sensibility. 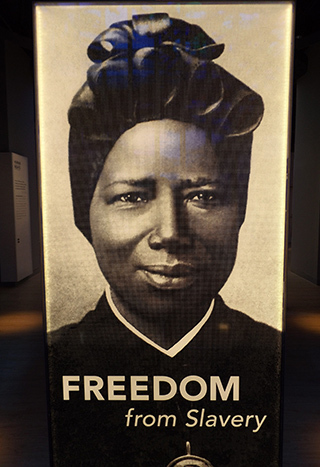 For instance, if the visitor glances up while walking toward the exit, they will see the beautiful smile of St. Josephine Bakhita. (On the other side of this picture is a photo of the Servant of God Dorothy Day.) Space is given to explaining the importance of such modern martyrs as Bl. Jerzy Popiełuszko of Poland’s Solidarity movement and Bl. Óscar Romero, the role of Catholic religious in the formation of hospitals, and more. And while Protestants consider books such as 1 Maccabees as “apocryphal,” one display discusses its influence on Christians’ reactions throughout the centuries to unjust political rule. What this ignores is that both Wycliffe’s and Tyndale’s translations were condemned not because they were in English but because both authors were heretics. Indeed Tyndale’s expressly made his changes to Scripture so as to undermine the Church’s theology. Worse, his commentaries, glosses, and notes in his translation were designed to sway the reader to Protestantism by bashing the Church at every opportunity. None of this is likely to dissuade potential visitors to MOTB, nor should it. For while, as Summers noted previously, there may be things here to irritate just about anybody, there is also plenty to please them. Brian O’Neel writes from Pennsylvania. What are some lessons we can learn in the School of the Cross? One might add that although Protestants are quite interested in researching the world of the Old Testament in a rather exhaustive way, they tend to steer clear of the world of the New Testament in the first centuries. It is too embarrassingly Catholic. As a Catholic, I definitely enjoyed visiting the museum! Here is my own review. The author mentioned that there is no mention of the Jewish Council of Jamnia. But this is something we take for fact when it most likely never happened. In fact, Dr Brant Pitre who did much digging around regarding this supposed council came to the conclusion that no such thing ever happened. So the Protestants based their canon on a council that never was. As a practicing orthodox Catholic, I think the museum is wonderful. Its not perfect, but no museum on the planet is. Also, notice it was evangelicals and NOT Catholics who made this wonderful museum. 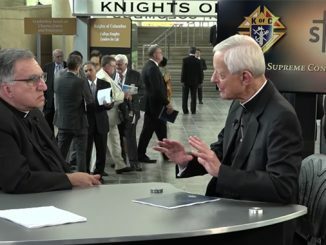 Catholics talk a lot but as a group we rarely follow through. Personally, I’m tired of this whole “protestants are this…”, protestants are that…” type of narrative. 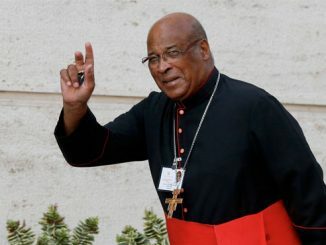 Given all the scandals in the Catholic Church, and the present doctrinal division we are experiencing I don’t think we have the right to wag our finger at anyone. In fact, I have received much more edification from some evangelical writers over some of our “in full communion” priests and bishops of late. Maybe we should just live our Catholic faith to the fullest without having to compare ourselves to the “Protestants”. And even though I believe the Catholic Church has the fullness of Christ’s truth and is the Church Christ founded, I often find myself having more in common with evangelicals than I do with many Catholics on even the most basic issues of Christian belief and morality. I couldn’t agree more. I would add that if Jesus were to show up on earth here today he would ask us what the heck we are doing… why the Christian world isn’t united? We’re supposed to be out there making disciples and instead we have people writing things like this that cause division and a complete lack of focus on what really matters. 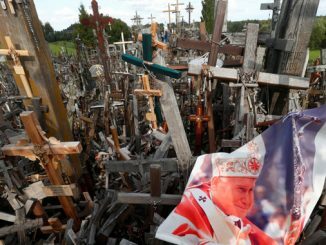 Pope Francis gets it – He’s reaching out to other denominations. This is a broken world that needs Christ now as much as ever – let’s all focus on that. This is terrific that this museum has been built – I’m going to get myself to DC as soon as I can in order to witness the inspiration from the Holy Spirit and love for God and Christ that the authors and artists must have experienced when they created their works for his glory. Why all of this nonsensical bickering about the minutia. I’m a faithful cradle catholic who is very involved in the church, but this kind of stuff is so disappointing. Goodness, you’d think that Mr. O’Neel had recommended that the Museum be burned to the ground and the staff banished to the far ends of the earth. Your comment is far more critical of his article than his article is of the Museum—which he praises at several points. Yes, disappointing indeed. You’re right. The article was quite good. I apologize for the confusion. My mini-rant was more about some of the other comments that immediately started with the “Protestants are this” narrative. Sorry. Again, the article itself was very good and made fair observations. Andrew, on the “most basic issues of belief and morality”? Basic, such as what we say in the Creed, what the Holy Catholic Church teaches as truth in matters of faith and morals? Maybe you ought to read the Catechism of the Catholic Church and then ask yourself if you really are a Catholic. I fully believe in the Catechism. Clearly you haven’t noticed the many bishops, priests and laity who don’t (some even dissent with Vatican approval). It was to those people I was referring. No offence but maybe you need to look around a bit and see what’s going on in the Church. If you are a believing Catholic you probably have much more in common with a believing evangelical than most people in your local parish. Museums are places of learning and growth. One of their leading scholars named Trobisch does not even believe the Bible… I should know… I attended 2 of his MOTB lectures where he would not acknowledge that Jesus is the only way to God and he said that the Apostle Paul did not heal anyone… even though the Bible says he clearly did. His goal was not to prove the accuracy of the Bible… and it certainly made me mad… so why build a MOTB and send people out who say it is not accurate or it needs to be changed? You would be defeating your very purpose for building it and would go against the reason I gave money to have it built… and that reason is to inspire confidence in the absolute authority of God’s Word… not to be bent to the will of a man named David Trobisch! Glad to see you allowed it. Thank you. People need to know. Thank God that Dorothy Day has a prominent place of honor in the Evangelical mindset, apparently even more prominent than the imaginary council of Jamnia. I hope there is also a display asking the most fundamental Bible question of all: Did the Church come from the Bible, or did the Bible come from the Church? Just as the Son of Man is “Lord even of the Sabbath,” so too is the Church the lord of the Bible. I would challenge you to walk through MOTB and find any significant impact this man David Trobisch has had. Indeed I’m tempted to challenge you to see if he has had *any* impact. Whatever his personal take, it is not at all reflected in the building itself. Nor could one expect this given the owners’ and Board’s personal view that Scripture is inerrant, that Christ is the sole path to salvation, and all the rest.